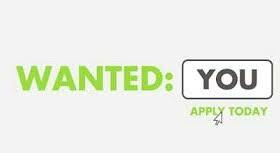 Do you have a Instructors License & looking for a new opportunity? We are always looking to hire talented individuals who have a passion for helping our students. If you think that you would be a great fit as an FREU instructor within our company, we would love to hear from you. FREU is always looking to add top quality part time and full time instructors to our team of dedicated professionals. Over the past 37 years, FREU has become the Outside the Box Educator. Our main goal is to improve lives, one person at a time. It is a privilege to be the provider of choice for so many students in Florida. FREU offers a variety of schedules for pre-license, post-license, sales associate, broker, continuing education, CE @ Sea and our Exclusive One on One Live Streaming Courses. ​Email a copy of your resume along with the position that you are interested. You can get information on licensing requirements, check the status of an existing application, apply using a printable application, or access the online application system if available for the specific business or profession. Ever consider becoming a Real Estate Instructor? If you meet the above qualifications, and don’t have Florida Real Estate Instructor permit, and teaching is your passion, please apply to the FREC today.